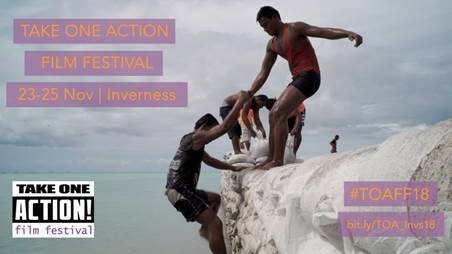 Take One Action – Scotland’s global change cinema project – returns to Inverness to premiere the most acclaimed international documentaries focusing on social and environmental justice from 23-25 November. Join them for 3 days of exceptional cinema and discover an inspiring range of urgent, impassioned films exploring some of the most pressing issues of our time. From women’s empowerment to climate justice, these films do more than open eyes and minds: they are a direct invitation to reshape our world for the better – right here, right now.